Surya Signature Building, Beside Hira Sweets Lane, Boring Canal Road Patna - 800001, Bihar. Surya Nestbuild Limited was founded on the 27th of June in 2005 and has established a number of residential and commercial projects in Delhi NCR, Vaishali and Patna since then. Their main aim is to provide end to end solutions for housing to individuals of different income groups as per their needs and budget. The company is patron member of Builders Association of India since 1996, and its one of the Directors is office bearer of the Patna Center since then. Some of their prominent properties include Samanpura Enclave, Sharda Villa, and Surya Enclave. These are known for matching international standards by providing world class facilities and amenities. They also have some great location advantages. Under the leadership of their head, Mani Kant, Surya Nestbuild Limited has grown from an emerging organization in 2005 to a very well known and respected name in the real estate industry. 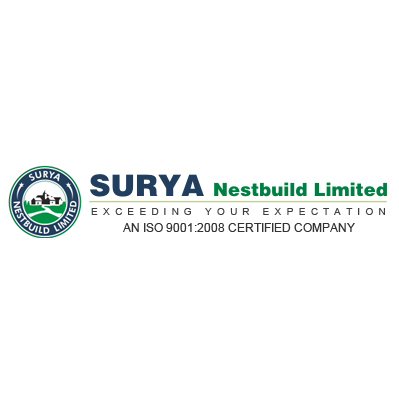 Surya Nestbuild is a member of the Builder’s Association of India and CREDAI.